You know how some sales advertisements say “the more you spend the more you save?” Well, when it comes to home energy improvements, your investment doesn’t just pay for itself once – it pays for itself year after year. And you don’t have to spend a fortune to see a return on your investment. Here are some simple home improvements you can make for under or around $50 that pay for themselves over time. Upgrading to a programmable thermostat can save up to $180 per year. Changing air filters can save up to $100 per year by ensuring your home is as clean and efficient as possible. Replace incandescent light bulbs with Energy Star CFL light bulbs can save $125 per year. Insulate your conventional water heater can save $30 per year. Also, I don’t have a payback number for them but caulk ($5.95), weatherstripping ($7.39) and spray foam insulation ($3.98) are other small investments that will help reduce your energy costs. And the best part is, after you make the investment one time, you get that savings each year afterwards. So, in this instance, paybacks are…AWESOME! And so is a Home Depot gift card giveaway. #1 – Click the Facebook like button at the top of this blog post. The contest ends at midnight EST on Monday, November 28th, and I will draw a random number to select the winner. I will contact the winner by email, so when you leave your comment please put an email address in there so I have a way to contact you. This post is sponsored by the fantastic folks at The Home Depot. 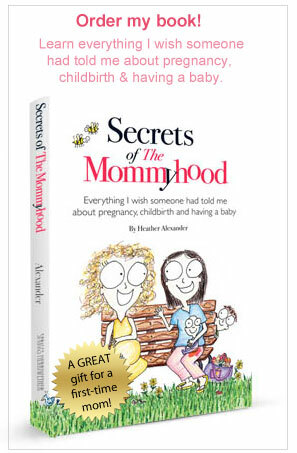 Huge thanks for enabling me to share with the readers of TheMommyhood.com! ← Death to the Right Side Creepers! I would buy a rechargeable drill!! We so need one!! We definitely need to replace the tacky gold light fixture in our front room for a new ceiling fan! We’re replacing the 1970′s doors (some are mirrored – hee!) in our townhouse…so $50 would cover about two – that’s how I’d use it! I might use it towards Christmas gifts for family members. All the men in my family LOVE tools and tool-related gear. I want, no I need a new washer!! $50 would help!!!! I clicked the facebook button!! We need our toilet fixed and now our kitchen faucet is dripping!! Thank u for offering this giveaway!!! I would use it toward one of two things- a new floor in the kitchen or a new faucet for the kitchen sink. If I won the gift card I would give it to my best friend. She is a single parent of two and due to a leak in her roof and pipes she needs some home repairs performed. Due to the holidays and her budget she could use all the help she can get. I would love to be able to help her in this time of need. I would use it to buy some small tools for my husband. I would give this to my wonderful father in law for Christmas for all the help he has given with our projects: installing an over the stove microwave, lighting fixtures, ceiling fans, and a bathroom mirror which was huge! I would use the $50 to buy a Christmas present for my hardworking, living husband! He deserves it! I would buy knobs for all my kitchen cabinets! I would use the gift card toward finishing our basement. Our upcoming project that we are going to do after the first of the year! I would probably give it to my husband so he can go buy something “fun” instead of always having to get only what he needs. I would buy plants for winter landscaping! I would buy paint to paint my living room. I have four kids and they have drawn on the walls and put dirty hands in the walls. It definately needs to be painted – with washable paint and pretty blue color! At this very moment I would buy a Christmas tree!! 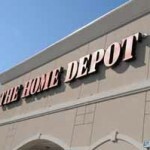 I would love a $50 Home Depot card!! I would use it toward a washer and dryer! We need a new water filter for the fridge. i would buy an ew cabinet for my kitchen. We are doing a few at a time as we have money. Right now the are a mixed up mess!! Hi – I would use the $50 towards repairing our leaky toilet. Thanks for the contest! I would use it to help pay for some of the storm damage from the june storms. I would use the gift card to buy furnace filters and light bulbs.